Final Fantasy VII had its original version of PlayStation One re-released for the PS4 as a way to anticipate the future remake of the game. This edition has extras like cheats that profoundly change the way you play. It's easy to activate them with the use of analog stick and just knowing how to use them to approach the game without stress. In this tutorial, learn how to enable cheats in Final Fantasy 7 for PlayStation 4. The buttons used to activate the cheats are the L3 (Left analog stick button) and R3 (Right analog stick button). In addition to each analog stick activate a cheat, they can still be used together to a third party. Simply pressing the left analog stick to connect the fast play mode, in which the speed is three times higher than normal. All gameplay moments will be accelerated and even some scenes of history. The button functions as an "On / Off" to return to normal speed just press it again. At any time during an uphill battle you can press the right analog stick and your characters will have the power (HP) recharged. This Cheat also fills the "Limit" bar that appears on the menu, which allows you to run "Limit Breaks" specific powerful strokes for each character. 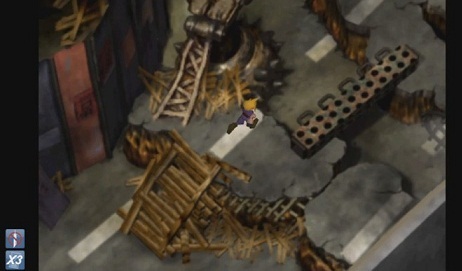 As with most classic RPGs, Final Fantasy 7 has a system of random battles. At any time you can be walking when suddenly a different sound plays, the screen becomes distorted and you're in a battle against a relatively weak enemy. Pressing both analog buttons together can stop or restart the random battles. This lets you explore dungeons without being upset by enemies, but remember that your characters will need the experience points earned in battle to survive as the game difficulty increases. By using the Cheats to speed up the game and stop the random battles, icons will appear in the lower left corner of the screen to indicate which Cheats are connected. If you use the Cheat acceleration, an icon with "X3" will appear on the screen. Have to turn off the random battles, you can see an icon with Cloud's sword and a sign of "not allowed" red.